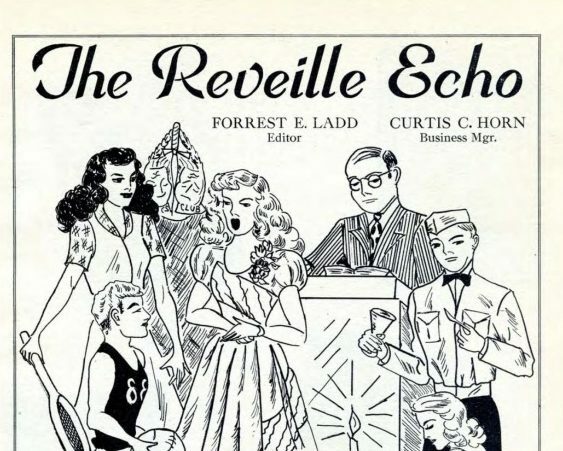 In 1928, Southern Nazarene University (SNU) began their first newspaper publication: the Reveille Echo. Since then, the Echo has changed names, changed formats and had many different editors. While the Echo has transformed in a multitude of ways, the Echo’s purpose and story remain the same: we are the voice of the students. In an attempt to grasp the story of the Echo, one must look back not only on where the Echo has been but also where SNU has been. SNU has changed presidents, changed buildings and changed the culture of the campus in the last 90 years of the Echo, embodying the growth of our campus, the Church of the Nazarene and the world around us. Former Editor in the 1946-47 academic year at SNU, Dr. Forrest Ladd played a large role in the growth of the Echo. He discussed the changes that occurred with the Echo, talking about creating “a new office space for the Echo, with a photography lab” and pushing photographs in the Echo to have more of a newspaper-type style. In retrospect, this push was crucial for the Echo– it allowed the public to expand forms from simply writing to photography as well and influenced the medium of the Echo. The Echo is a place where Dr. Ladd found a large amount of personal growth, saying, “It helped my interpersonal skills by working with reporters, advertisers and the college administration. It also provided a big boost to my self-confidence: ‘I can do this!’” Interpersonal skills and self-confidence are crucial to both personal relationships as well as relationships within one’s career. The Echo forces one to develop these skills, and through these skills, it shapes how we relate and empathize to one another. The campus was split: the students wanted Loren Gresham, and by seemingly avoiding that possibility, the Board of Trustees droned out the voice of the students. This is the core of the Echo’s job: to sit in the middle of this tension, sometimes uncomfortably, in order to allow the voice of the students to be heard. Throughout this year, Nuffer covered many stories about this controversy, and in the spring of 1990, Dr. Loren Gresham became the newest President of SNU. As SNU has grown and changed, so has the Echo. Yet, while each Editor has a different story to tell, they are all a part of the same story of the Echo. This story is one of division, disagreements, challenges, and strife as well as one of perseverance, joy, power, and hope– the Echo is necessary to tell the entire story of SNU and has done so through the years.